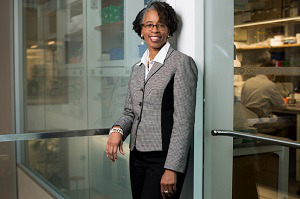 Tufts University has named Dr. Ellise LaMotte as the new director of the Center for STEM diversity. Prior to her new role, LaMotte was the director of academic services at Olin College of Engineering and, before that, served in several leadership roles at Babson College. LaMotte earned a bachelor’s degree in electrical engineering technology and a master’s degree in business from Northeastern University and a Ph.D. from the University of Massachusetts Boston. She began her new position by accompanying Tuft STEM ambassadors to nearby high school classrooms to make interactive presentations in bilingual classrooms. LaMotte hopes to expand two Tufts programs that cater to minority students pursuing STEM at the university: the Bridge to Engineering Success at Tufts (BEST) program and the Redefining the Image of Science and Engineering (RISE) program, according to Tufts Daily. “[There is a] plan to continue the BEST program and grow the RISE program to a year-long seminar as well as finding other ways to engage and support more underrepresented students in STEM,” LaMotte said. LaMotte added that she hopes to work with national organizations and student groups that have similar goals of supporting diversity in STEM. “[We should continue] to connect with the STEM clubs that support underrepresented student populations like the National Society of Black Engineers [and] Out in STEM … to showcase the Center’s work and activities,” LaMotte said.